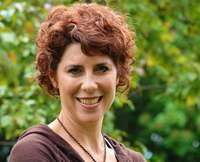 Sonia S. Wasco is president and CEO, Grant Heilman Photography, Inc a stock photo library specializing in American agriculture and natural science photography including a significant collection of horticulture, wildlife, lifestyle and travel images. The collection contains over a million high quality images representing the work of more than 100 photographers from around the world. Sonia has lead the agency to be known as the world’s most complete source of American agriculture imagery. She has nearly 30 years’ experience in the stock photo business and is past president of the industry’s trade association the Picture Archive Council of America (PACA) and served on the Board and executive committee for 20 years. Sonia is an advocate for the protection of intellectual property rights and serves as an expert witness on legal issues in the photography industry. Sonia is a frequent speaker and presenter at photo industry events. She is an avid conservationist and serves on the Board of Directors for the Lancaster County Conservation District and as a volunteer for the Lancaster County Youth Conservation School for more than 35 years. 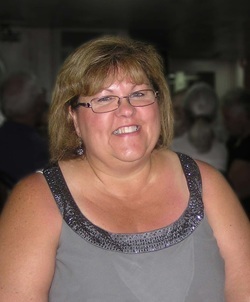 She was a member of the Lancaster County Chamber of Commerce and Industry’s agriculture committee and served as its chairperson and was an active participant for 8 years. Sonia taught agriculture at the high school level for ten years before moving to Grant Heilman Photography. She holds a B.S. in Animal Husbandry from Delaware Valley College and M.S. in Agriculture Education from Pennsylvania State University. She and her husband Frank reside in Lancaster County, PA.
Bill is an experienced agricultural marketing specialist with 30 years of accomplishments in identifying and developing markets for agricultural and seafood products, organizing unique promotions, and effectively communicating with industry representatives and market target groups. He works extensively with the NJ supermarket industry to develop and conduct market development and merchandising programs to expand public awareness and promote the usage of Jersey Fresh agricultural products. Bill also works with NJ farm marketers. He assists local governments and community organizations to develop community farmers markets. Bill works with the NJ Department of Health & Senior Services & the USDA Food & Nutrition Service to improve the redemption rate of fresh fruit and vegetable vouchers & SNAP benefits. Bill works with the NJ hospitality industry to promote the usage of all NJ agricultural products. He has conceived Departmental economic strategies for the NJ agri-tourism industry to develop and promote agricultural operations as tourism destinations. Charlotte Davis has over 20 years of professional experience in government, advocacy and political consulting. She has spent over ten years working within the Maryland General Assembly, most recently as Chief of Staff for a Committee Chair. She has experience in non-profit management, managing a small organization dedicated to educating and advocating on behalf of Montgomery County, Maryland. In the fall of 2012, Charlotte was a part of the successful campaign to change Frederick County’s form of government from Commissioner to Charter. Currently, she serves as the Executive Director for the Rural Maryland Council, an independent state agency, which seeks to improve the quality to life while preserving the cultural heritage of Maryland's rural communities. Charlotte holds a BA in Government and Politics from the University of Maryland and a MA in Government from Johns Hopkins University. She lives in Middletown, Maryland with her husband and two sons. ​Andrew is the Director of Innovation, Strategy and Development for MidAtlantic Farm Credit. An innovative strategy, marketing and business development authority, Andrew is frequently asked to speak to groups on a wide variety of topics ranging from the Future of Technology and Humans to the Algorithmic Impact of Reviews on Organic Search. He is also a sought-after author for his technical expertise on the subjects of blue ocean strategies, trend spotting, community building, white space initiatives and peering over the horizon. Andrew is deeply involved in the non-profit community, sitting on or advising many non-profit boards and social impact organizations. He recently served as the Chief Strategy Officer in Residence at the Emerging Technologies Centers, the Chair of the Advisory Board for the Maryland Cybersecurity Association, and was an organizer for the TEDxBaltimore events. He is currently the organizer for AgPitch (a business competition for agricultural innovation) and is deeply immersed in F3Tech, an agriculture incubation system. Andrew also serves as an advisor to Section1, an artist collective based in Baltimore. Andrew help found the GIVE Program, the only non-discriminatory leadership program in Maryland for rising professionals. MidAtlantic Farm Credit is an agricultural lending cooperative owned by its member‐borrowers. It provides farm loans for land, equipment, livestock and production; crop insurance; and rural home mortgages. The co-op has over 11,000 members and over $2.7 billion in loans outstanding. MidAtlantic has branches serving Delaware, Maryland, Pennsylvania, Virginia and West Virginia. It is part of the national Farm Credit System, a network of financial cooperatives established in 1916 to provide a dependable source of credit to farmers and rural America. Ron Gaydos is Principal of Scenius Strategies, an economic development, organizational strategy, and special projects management firm. In 2015 Ron co-founded the Pittsburgh Chamber of Cooperatives, the Pittsburgh region’s hands-on resource for cooperative business. Ron was introduced to cooperative economics through the EF Schumacher Society, now the national New Economy Coalition, in study sponsored by several Pittsburgh community leaders. He has recently trained in consent-based governance and with other Chamber members also conducts consent-based decision making and training sessions among cooperatives and workgroups interested in non-hierarchical collaboration. Ron is a longtime advocate for equity, inclusion, and fairness in community economic development. His work on major community development projects is known for these emphases. He has started three businesses and has served as a consultant for many other business owners. After graduate study at the Heinz College at Carnegie Mellon University, Ron began to work on several high-profile projects involving former industrial sites and their conversion, workforce development, and technology-assisted community discourse. This project management experience organizing complex initiatives, coupled with his fervor for business practices and economic policies that create shared value, has led him to strive be one of the leading proponents of cooperatives in southwestern Pennsylvania. ​Parag Rajendra Khandhar, Esq. is a founding principal of Gilmore Khandhar, LLC, a law firm focused on using legal, policy and advocacy tools to advance economic justice, racial equity and social transformation grounded in a solidarity economies framework. He is a community builder and writer who focuses on connecting across creative and organizing methodologies in Black and Brown communities. He is a law school clinical educator, currently teaching in the Small Business and Community Economic Development Clinic at George Washington University Law School. Prior, Parag was a Clinical Teaching Fellow in the Community Development Clinic of the University of Baltimore School of Law where he supervised teams of law students and represented grassroots groups, community-based enterprises, and solidarity economy initiatives such as cooperatives and food sovereignty projects. Prior to the fellowship, Parag was the Housing & Community Justice Staff Attorney at the Asian Pacific American Legal Resource Center in the DC Metro Area, where he represented and organized with tenants and on language access issues in DC Chinatown, with Asian seniors in Maryland, and many other groups. Parag was a Public Interest / Public Service Scholar at the American University Washington College of Law. Parag is a co-founder of Baltimore Activating Solidarity Economies (BASE) and the Asian American Solidarity Economies Network (AASE). Each is dedicated to building a resilient, radically inclusive economy centering upon principles of race and social equity, sustainability, and valuing people and the planet over profit. Parag serves on the advisory board of Impact Hub Baltimore (a space committed to social entrepreneurship and innovation), and as part of the collective that runs the Baltimore Roundtable for Economic Democracy (a non-extractive loan fund and technical assistance provider to cooperative owned and managed projects in Maryland). He is also a facilitator-participant in the Law and Social Change Jam, building beloved community with individuals working for transformative societal change in law and justice contexts. Parag is a member of the bars of Maryland and the District of Columbia. Prior to law school, he worked for 10 years in NYC with Asian and immigrant communities in direct and emergency relief services after September 11th, data advocacy, technical assistance, and managing the community arts programs and bookstore at the Asian American Writers’ Workshop. He has co-edited two special issues of the Asian American Literary Review. He is the proud father of a precocious elementary school writer, artist, and Pokémon trainer-in-training. Steve McHenry has served as the Executive Director of the Maryland Agricultural and Resource-Based Industry Development Corporation (MARBIDCO) since December 2006. Prior to this, he held the positions of Executive Director of the Rural Maryland Council and Director of Government Affairs for the Maryland Municipal League. Steve’s professional career was focused for many years on policy development and advocacy for small and rural communities, and more recently on agricultural business capital and credit availability and food systems development. 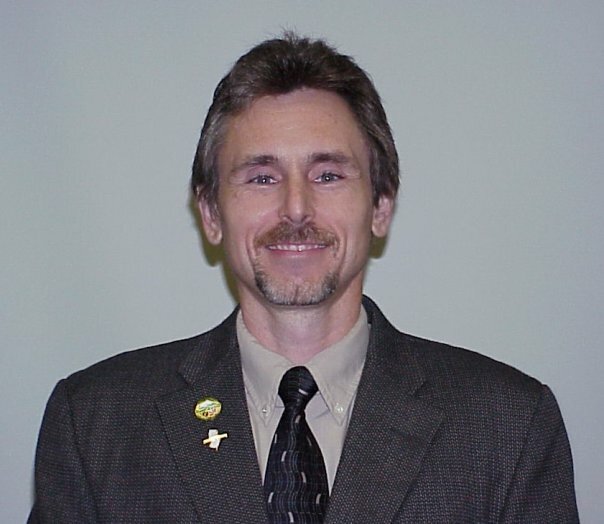 Steve has served on many local, state, and national boards of directors, commissions, and advisory groups related to sustainable agriculture and forestry, rural economic and community development, and agricultural education. Additionally, he is a member of several trade and professional organizations, including the Maryland Farm Bureau and the Maryland Economic Development Association. Steve holds undergraduate (St. Mary’s College of MD) and graduate degrees (UMUC Graduate School of Management and Technology), and was a member of the 2000 Class of LEAD Maryland, the agricultural and rural leadership development program and the 2002 Class of Leadership Maryland, a statewide executive leadership development program. Lela’s experience encompasses an extensive 25+ year career in food and agricultural marketing, with a passion for agricultural business/market development. She has successfully managed industry relations to assist in the growth and development of new business initiatives within almost every segment of Pennsylvania’s $76 billion agricultural industry. She was most recently the Director of Marketing and Economic Development for the Pennsylvania Department of Agriculture where she led efforts to strengthen the message of agriculture and food to consumers, retailers and interest groups. While there she facilitated the creation of several industry partnerships that have led to increased economic development, while invigorating the state’s leading economic enterprise. Reichart was also heavily involved in strengthening the Commonwealth of Pennsylvania’s commitment to domestic and international trade. She joined the Bureau of Market Development in 2008 as the USDA Specialty Crop block grant administrator for the Commonwealth of PA. She played a key role in bringing critical funding for both agricultural marketing and research to farmers across PA as well as research institutions such as the Pennsylvania State University. Under Lela’s leadership, the Department has expanded participation in the Specialty Crop Block Grant program. She also worked as a Program Director for the Mid-Atlantic Milk Marketing Association (MDA), Corporate Category Manager for Rutter’s Convenience Stores, and Extension Coordinator for Penn State University Agricultural Extension. Lela holds a Master of Business Administration degree and a Bachelor of Science degree in Marketing, and is a 2012 Pennsylvania Governor’s School of Leadership (LDI) graduate. In her new role at Sterman Masser Inc., Reichart will be responsible for marketing SMI’s growing product line. She will also work closely with Keystone Potato Products to help market fresh cut potato products to restaurants and small food service providers. In addition, she will be responsible for the company’s social media platform, company branding across the US, in-store promotional events with major retailers, and new product development and research. Cheryl Cook returned to the Pennsylvania Department of Agriculture in March 2015, following a six-year stint in the federal government under the Obama Administration. She was appointed to serve as the United State Department of Agriculture’s (USDA) Chief Information Officer from April 2012 to March 2015, after serving as Deputy Under Secretary for USDA’s Rural Development Mission Area from March 2009 to April 2012. From April 2003 to March 2009, Cook served under former Agriculture Secretary Dennis Wolff as Deputy Secretary for Marketing and Economic Development. Secretary Redding appointed Cheryl Cook as Deputy Secretary for Market Development in January 2017, following nearly two years as the Agency’s Chief Innovation Officer. As a Deputy Secretary, Cook oversees the Bureaus of Farm Show, Farmland Preservation, Food Distribution, and Market Development. A lawyer by training, Cook’s career has included a range of service to production agriculture and rural communities. She has served in a variety of roles, from cooperative development as Executive Director of the Keystone Development Center to Pennsylvania State Director for USDA’s Rural Development programs. She has also served as the Assistant Director of the National Farmers Union’s (NFU) legislative staff in Washington, DC and Assistant to the President of NFU’s Pennsylvania chapter. She returns to the department with 30 years of experience and a commitment to advance the department’s diverse missions. ​Cook received a 2017 Meritorious Service to Agriculture Award from National Farmers Union for outstanding leadership and service to family agriculture and to Farmers Union. 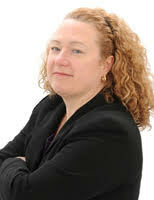 She also was named by Federal Computer Week magazine as one of the “Federal 100” in 2015, an annual award recognizing government and industry leaders who have played pivotal roles in the federal government IT community.